Liverpool police are investigating two attacks on young men on streets in the city’s gay quarter. Police say there is no evidence yet that the assaults were motivated by homophobia but have sought to reassure the gay community. At around 6am on Wednesday morning, a 22-year-old man was found with serious head injuries in Progress Place, an alleyway off Victoria Street. The victim is understood to be too ill to speak to police. Officers are examining CCTV and conducting house-to-house enquiries, while patrols will be stepped up. In the early hours of Saturday September 10th, a 21-year-old man suffered facial injuries when he was attacked on Eberle Street. Police are not treating this attack as a hate crime and say there is no evidence the victim was specifically attacked on account of his sexual orientation. 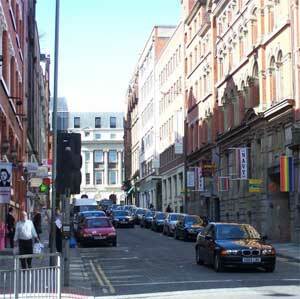 Liverpool city councillor Steve Radford, who is gay, said: “The city council is considering ways to improve security and in particular lighting in the gay quarter but alleyways like Progress Place have been a consistent problem and the community need to be aware of the dangers some of these alleyways present. Anyone with information about the assaults can contact Detective Sergeant Ferguson or Inspector Mark Morgan on 0151 709 6010.